A village shop owned and run by the the communities of Neatishead, Irstead and Barton Turf. Accessible by road and river! Ideally situated to serve both our local community and our many boating visitors. In 2013, after a concerted effort of fundraising and hard work, the Three Villages Association (Neatishead, Barton Turf & Irstead) opened the doors of our Communtity shop. With the help of volunteers, the shop is run by part time managers to service the needs of the community and our many seasonal visitors. 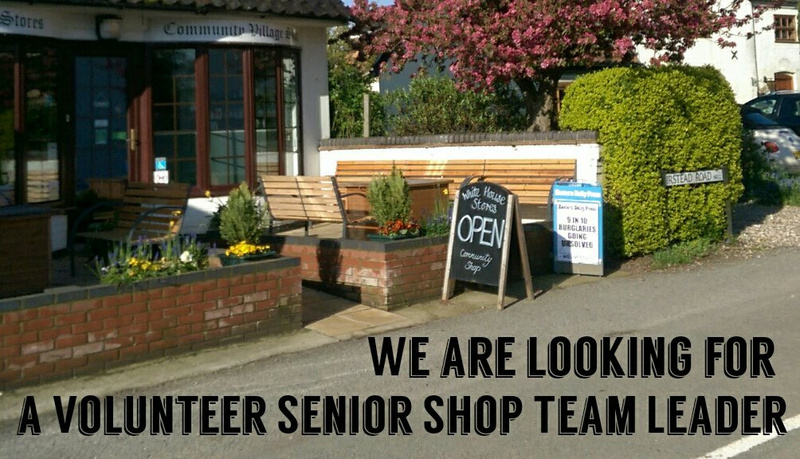 We are seeking a volunteer as Senior Shop Team Leader. This is a new position which is not a behind the counter job, but an administrative one mainly concerned with managerial tasks including overseeing the paid shop employees. So, if working the till has put you off from volunteering, this might just be the job for you! For further details please email Nick Fowle at info@whitehousestores.co.uk.